For those searching for the best in North West London gardening services, discover how much you could benefit from a talk with London Gardeners. As the very best providers of lawn care and lawn maintenance, we can make sure that you and your garden always get the best possible results. If you want to make sure that your garden is always looking at its very best but are unsure of how to approach the problem, our gardening service is ideally suited to your needs. With so much experience and knowledge about the industry, we know exactly what it takes to make sure that you are getting everything, including leaf collection, planning, grass cutting, garden waste removal and garden spraying. When it comes to your garden and your lawn, there is no one more able to make sure that you get the kinds of services which really make a difference. If you are starting from scratch, our garden design offers just what you need to create a beautiful space while our lawn restoration and repair is perfect for those who need a bit of upkeep in their garden. To find out more about what we can offer you, call us on 020 8434 7256 today and talk to one of our team. If you are thinking of London, one of the areas which does not always get as much attention is North West London. The area is home to many of the city’s most famous landmarks, however. Wembley Stadium is not only a very popular concert venue but is also home to the national football team and the site where they play all of their home matches. Camden and Camden lock are also very popular places in northwest London, attracting many tourists during the day and many socialising people during the night. Because of the destination as one of the most vibrant and exciting areas of the city, there are not only a lot of people who live in the area, but many who catch the multiple methods of public transport in order to make sure that they are able to get to all of the best places. The North West area of the city is home to many familiar London locations such as Regents Park and Baker Street, Hampstead and Chalk Farm. It also border on the area of Westminster and there are certain parts of the area which cross over with the borders of west London. London Gardeners want to make sure that you have access to the best North West London garden maintenance available. We understand the important of making sure that your garden is looking at its very best and we want to make sure that you get the best possible results no matter what it is that you need help with. From hedge trimming and pruning to weed control, our expertise is ideally suited to making sure that your lawn is looking at its very best. But we also know that the right services are not the only part of making sure that you get the best services. 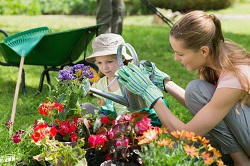 We also want to ensure that you have access to gardening care services which offer excellent value for money as well. We work hard to make sure that the prices we offer for our planting and gardening services are as low as possible. No matter what it is that you need help with, one call to 020 8434 7256 could be all it takes to make sure that you are saving money while also making sure that your lawn looks at its very best.